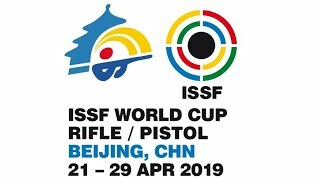 With only one shot left in the final of the 10m Air Rifle Mixed Team event, 22-year-old Yang Haoran and 20-year-old Zhao Ruozhu of the People’s Republic of China finalized their comeback and overtook the second Chinese team in the final — featuring Song Buhan (21) and Wu Mingyang (21) — securing the first title of the 52nd ISSF World Championship in Changwon (KOR). 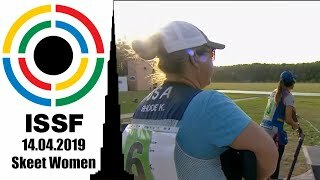 In the third 5-shot series of the match, Yang and Zhao totalized a fantastic score of 105.1 points, then closing the gap during the elimination phase and finishing atop the podium with 500.9 points. 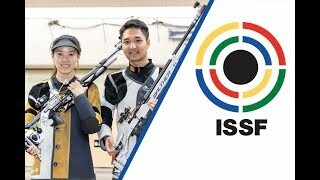 “I think this World Championship is going to be a good chance to train ourselves and get more experience in the mixed team event,” added his teammate Zhao Ruozhu. Wu and Song, instead, were not able to maintain their initial pace, eventually taking silver with 500.6 points. Team 2 of the People’s Republic of China also secured one of the two Olympic quota places up for grabs in this event. 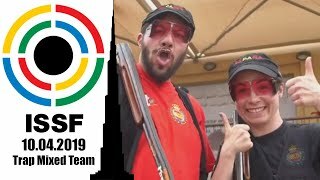 The second one was awarded to the Russian Federation, as Anastasiia Galashina and Vladimir Maslennikov completed the podium in 3rd place, scoring 434.2 points and securing a slot in the 10m Air Rifle Mixed Team event at the 2020 Olympic Games. 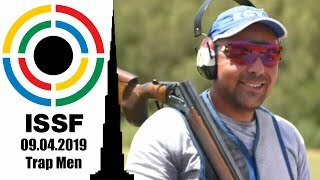 Despite shooting brilliantly in the final phase of their match, Romania’s Laura-Georgeta Coman (25) and Alin George Moldoveanu (35) placed just outside of the podium positions, concluding in 4th position with 390.5 points. 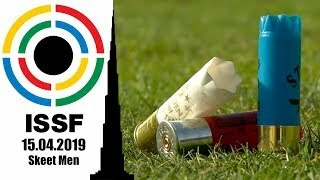 Germany’s 21-year-old Maximilian Dallinger and 27-year-old Isabella Straub was the first duo eliminated from the final: the two German shooters totalized 99.3 points in their first series, failing to move up from the 5th place for the rest of the match and finishing with 346.9 points. 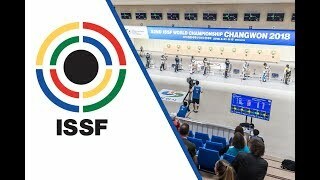 The ISSF World Championship in Changwon will continue this afternoon with the 10m Air Pistol Mixed Team final, scheduled at 3:00 pm (UTC+9:00).